"I ask my fellow lawmakers to support resignation." 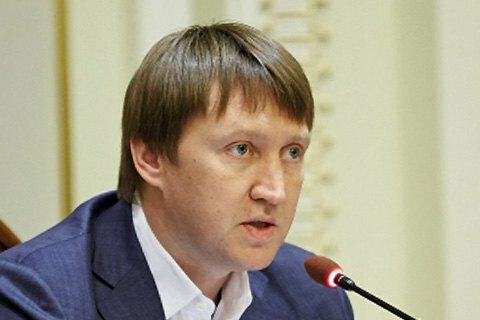 Minister of Agrarian Policy Taras Kutovyy filed in resignation on 23 May. On his Facebook page, Kutovyy said that ministerial resignation is quite natural and common world practice and thanked his fellow people's deputies, the president Poroshenko, prime minister and the members of agrarian business foro cooperation. "I ask my colleagues in parliament to take the statement with understanding and vote [the resignation]," he added. Kutovyy said her plans to "focus on attracting investment in the economy of Ukraine," but did not elaborate. The Ministry of Agrarian Policy praised the achievements of the outgoing minister, including the establishment of the government's agrarian subsidies at 1% of GDP of agricultural products for five years, which resulted in almost 322mn hryvnya paid to Ukrainian farmers in May. The agrarian subsidies are planned to total in 5.5 bn hryvnia in 2017 alone. Under Kutovyy, the ministry has drafted a bill on the demonopolization of the alcohol industry. The bill suggesting a phased liberalization of the nation's distillery industry got the approval of the Cabinet and is under consideration in parliament. Foreign trade turnover of agro products reached 19.6 bn dollars, or 26.1% of Ukraine's total foreign trade turnover. Ukraine has harvested a record 66mn tons of grain last year, of which 40.2mn tons were exported.